Summary: Joshua 4 & 5 describe the preparation of the Israelites into a re-covenanted nation with Rock (commenoration), Roll (circumcism at Gilgal) and Party (Passover ritual). Deep and practical application for the church living between first and second advent. "Joshua 4 & 5: Rock and Roll and Party on!" Wow! The Israelites have just crossed the swollen Jordan river! Joshua is like Moses! He has re-enacted for the next generation the miracle of Crossing the Red Sea! The canaanite’s hearts are melting away in fear, this is the Perfect time to strike! The target city- Jericho is within eyesight! Everyone is armed for battle and on the move- all signs are go, go, go! But, Jericho is a totally different challenge- Israel has won battles of hand to hand combat, they have no experience in siege warfare- no equipment, no battering rams, catapults, ladders to scale walls- they were a roving horde of slaves in the desert. Jericho’s gates are shut tight, no one is sallying forth for engagement. All of Canaan is watching this first strike, there is just no room for mistakes. Joshua is no Moses. Moses was a rigorous mountain climber in his 100’s scaling active volcanoes, coming back with a face so ablaze they had to throw a towel over it, and even his daily meetings with God were unmistakably awe inspiring for the huge cloud would settle and envelop the tent of the meeting and all the people would reverently pray at their tent flaps until he emerged, alive. Compared to that, Joshua's leadership was totally low key- private devotions behind a bush, with no one else around to verify it, completely subjective and unverifiable. Then he says a man told him to play- um, excuse me but in modern terms “ring around the rosy” and yell at the walls of Jericho? This is not a strategy you could imagine ever coming out of Moses’ mouth. Just to give you an idea of what they are facing, here are slides of Jericho. (Slides) Clearly God needs to prepare His people for a whole new level of faith. So, nestled between the two greatest miracles of the Conquest- is Joshua 4 & 5. And this is pertinent for us who are nestled between the two greatest miracles of the Great Controversy- the first and second Advent. What does the preparation of Israel as the people of God in Joshua 4 & 5 have to say to us today, who need to be prepared for our final victory? Remember it as this: They Rocked and Rolled and Partied. 1. “Rock” stands for Commemorating God’s miracles. I have picked 12 young people to make paper rocks- go ahead, smash the papers into rocks and bring them up here. (have kids come up with paper rocks) These twelve rocks represent the 12 spies who represented the 12 failed tribes that rebelled and lost their first chance to go in to Canaan at Kadesh Barnea. Within the first two years of the wilderness sojourn, they came right up to the border and lost their faith and nerve. 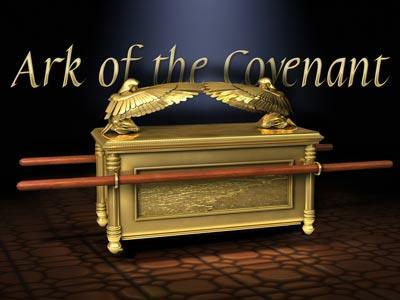 They broke their covenant with God and tried to stone Moses and Aaron. 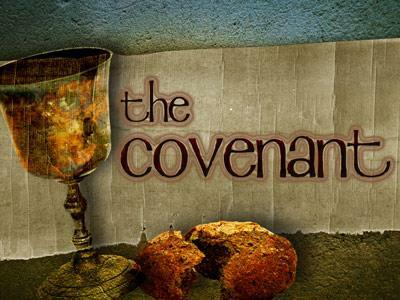 Since then, they have been wandering for 40 years without Passover or circumcism, the signs of the covenant. EGW (Patriarchs and Prophets p. 485, chapter 44). This generation has crossed over! And human creatures have a natural desire to commemorate significant events. Abraham built altars, Isaac dug wells, Jacob set up pillars. We collect souvenirs from vacations. But how do we commemorate God’s blessings and miracles in our lives? What is our "rock"? I carry one everywhere and you do too. It’s this thin flat memory rock. Cellphone photos- (invite audience to take them out and do this)- I invite you to find your rock and make an album labeled -"blessings, God's love for me, awesomeness!" 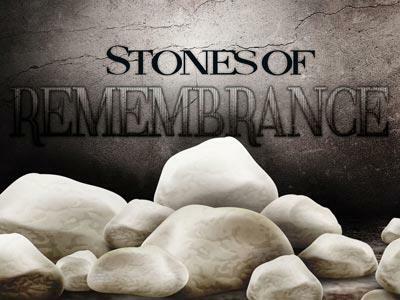 The catholics have a rosary to grow their prayer life, why can‘t SDAs have a memory rock? You can pray through your blessings while waiting in lines, if you missed devotions, to start and end each Sabbath. For God gave us the Sabbath to create a time to remember. Memories is what feeds spirituality. That’s why sermon Bible sermons are long recitations of history- spiritual events kept alive for each generation. So parents, before we cry ourselves to sleep because our adult children have left the church, we need to ask ourselves now- while they are still under our roof- are we creating good memories or bad ones around family worships, church and Sabbaths? Pastors, do people like being around you, are you a good ambassador for God or bad? Memories are the building blocks of our spiritual journey. We cannot change our past, but we can choose what to dwell on. And we need to commemorate - what God has done for us, in order to ground and anchor our faith in real facts of our lives.